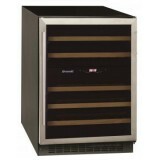 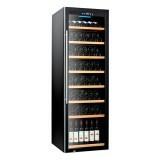 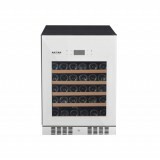 Bosch Wine Cabinet KSW38940 The XXL wine storage cabinet with 2 controllable temperature zones: maximum space for your wine at the perfect temperature. 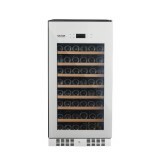 2 digital internal thermometers: Precise temperature monitoring for optimum storage and serving temperatures Big capac..
Brandt CAV 50B Wine Cellars -Vintage wines it stores your greatest wines for years in conditions close to those of a natural wine storage. 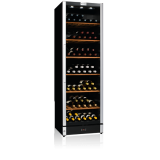 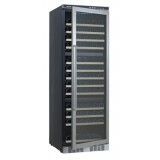 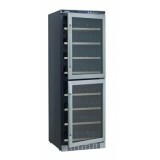 Brandt has designed wine cellars for wine storage and aging that provide accurate temperature control. 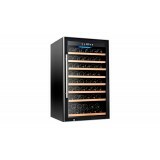 These wine storage keep..
Brandt CAV 50X Wine Cellars -Vintage wines it stores your greatest wines for years in conditions close to those of a natural wine storage. 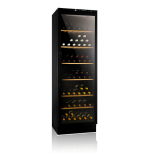 Brandt has designed wine cellars for wine storage and aging that provide accurate temperature control. 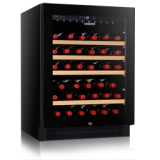 These wine storage kee..
-Vintage wines it stores your greatest wines for years in conditions close to those of a natural wine storage. 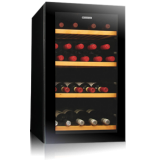 Brandt has designed wine cellars for wine storage and aging that provide accurate temperature control. 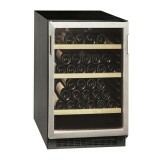 These wine storage keep your wine in ideal condi.. 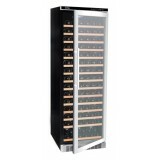 FEATURES 110 bottles Odour filter Humidity tray Wooden racks Temperature range 7°C - 18°C Black interior and exterior Reversible 3 layered anti-UV glass door with seamless stainless steel door frame, handle and lock LCD display contr.. 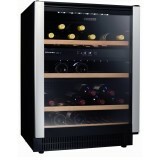 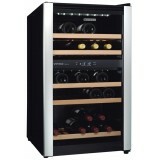 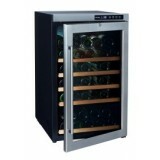 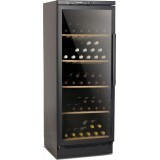 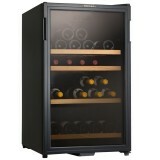 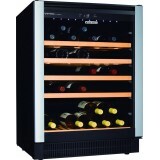 FEATURES 15 bottles Reversible glass door Wooden racks Black interior Recessed door handle Adjustable temperature control 7°C - 15°C Uses 134A Refrigerant in sealed system ..
Kadeka Signature Wine Chiller Black Door KS106TR (Right Handle) Features: 106 bottles Inverter compressor Full rimless glass door frame - Black Door - Integrated handle Interior lighting: LED red, blue, red & blue cycle Control panel on door with LED temperature display ..
Kadeka Signature Wine Chiller KS106TL Black Door (left Handle) Features: 106 bottles Inverter compressor Full rimless glass door frame - Black Door - Integrated handle Interior lighting: LED red, blue, red & blue cycle Control panel on door with LED temperature..
kadeka Signature Wine Chiller White Door KS106TL (Right Handle) PRICE: $2,888 + ($560 FOR WHITE DOOR) = $3,448 Features: 106 bottles Inverter compressor Full rimless glass door frame -White Door - Integrated handle Interior lighting: LED red, blue, red &..
kadeka Signature Wine Chiller KS140TL (left Handle) Features: 143 bottles Inverter compressor Full rimless glass door frame Integrated handle Interior lighting: LED white Control panel on door with LED temperature display in centigrade/fahrenheit 3 layered anti-UV full glass doo..
kadeka Signature Wine Chiller KS194TL With Connoisseur Set Black Door (Left Handle) Features: 194 bottles Inverter compressor Full rimless glass door frame - Black Door - Integrated handle Interior lighting: LED red, blue or red & blue cycle Control ..
kadeka Signature Wine Chiller KS194TR With Connoisseur Set Black Door (Right Handle) Features: 194 bottles Inverter compressor Full rimless glass door frame - Black Door - Integrated handle Interior lighting: LED red, blue or red & blue cycle Control..
kadeka Signature Wine Chiller KS54TL Black Door (Left Handle) Features: 54 bottles Full rimless glass door frame - Black Door - Integrated handle Interior lighting: LED red, blue, red & blue cycle Control panel on door with LED temperature display in cent..
Kadeka Signature Wine Chiller KS54TL White Door (left Handle) PRICE: $1,688 + ($380 FOR WHITE DOOR) = $2,068 Features: 54 bottles Full rimless glass door frame - White Door - Integrated handle Interior lighting: LED red, blue, red & blue cycle Contro..
Kadeka Signature Wine Chiller KS54TR Black Door (Right Handle) Features: 54 bottles Full rimless glass door frame - Black Door - Integrated handle Interior lighting: LED red, blue, red & blue cycle Control panel on door with LED temperature display in centigrade..
Kadeka Signature Wine Chiller KS54TR White Door (Right Handle) PRICE: $1,688 + ($380 FOR WHITE DOOR) = $2,068 Features: 54 bottles Full rimless glass door frame - White Door - Integrated handle Interior lighting: LED red, blue, red & blue cycle Control panel on door wi..
Kadeka Signature Wine Chiller KS106TL (Left Handle) PRICE: $2,888 + ($560 FOR WHITE DOOR) = $3,448 Features: 106 bottles Inverter compressor Full rimless glass door frame - White Door - Integrated handle Interior lighting: LED red, blue, red & blue cycle Control p.. 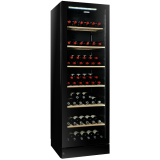 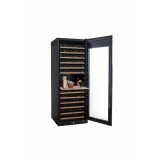 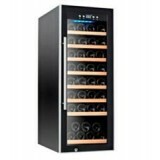 FEATURES 143 bottles capacity 3 temperature zones: Upper: 5-18°C Middle: 5 -12°C Lower: 12 -18°C Structural wooden shelves Celsius and Fahrenheit reader 3 layered anti-UV glass with seamless stainless steel door frame, handle and lock Black .. 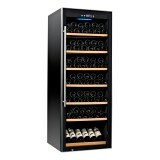 FEATURE 151 bottles capacity Temperature memory function Built-in lock Auto defrost function Built-in fan Humidity box Charcoal filter 8 sliding wooden shelves with stainless steel trim Seamless stainless steel handle and door frame LE.. 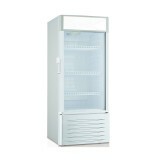 FEATURES: 24bottles capacity Bulit in lock Auto defrost function Built-in fan Humidity box 6 metal with wood trim sliding shelves Seamless stainless stell handle and door frame LED temperature display control panel 3 layere.. 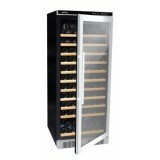 FEATURES 39 bottles LCD display control panel 3-layered anti-UV glass door Stainless steel door frame with handle Odour filter Wooden racks Humidity box Auto defrost, anti-vibration, lock Temperature range -7°C to 18°C Uses R13.. 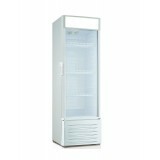 FEATURES: 45bottles capacity Bulit in lock Auto defrost function Built-in fan Humidity box Charcoal filter 6 Wooden sliding shelves with stainless steel trim Seamless stainless stell handle and door frame LED temperatu.. 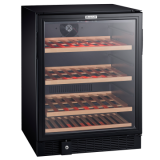 FEATURES LCD display control panel Reversible 3-layered anti-UV glass door with seamless stainless steel door frame, handle and lock Auto defrost, anti-vibration Wooden racks Humidity box Temperature: 7°C - 18°C Uses 134A Refrigerant in sealed s.. 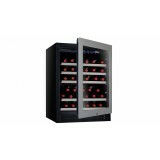 Specifications TECNO WINE CHILLER (115-130 Bottles) (Dual Temperature Zone) 270Litres (115-130 Bottles); Dual temperature zone, 6 Slide-out wooden shelves; Blue LED interior light; Digital controls with LED temperature display; 3-Layer glass door; .. 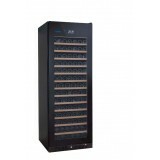 Specifications TECNO WINE CHILLER (120-137 Bottles) (Single Temperature Zone) 270 Litres (120-137 Bottles); Single temperature zone, 7 Slide-out wooden shelves; Blue LED interior light; Digital controls with LED temperature display; 3-Layer glass .. Specifications TECNO WINE CHILLER (181-200 Bottles) (Dual Temperature Zone) 480 Litres (181-200 Bottles); Dual temperature zone, 8 Slide-out wooden shelves; Blue LED interior light; Digital controls with LED temperature display; 2-Layer glass door; .. 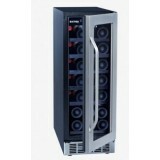 Specifications TECNO WINE CHILLER (192-205 Bottles) (Single Temperature Zone) 480 Litres (192-205 Bottles); Single temperature zone, 8 Slide-out wooden shelves; Blue LED interior light; Digital controls with LED temperature display; 2-Layer glass d.. 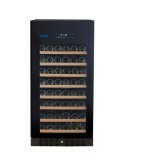 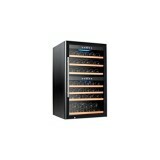 Specifications TECNO WINE CHILLER (43-53 Bottles) 125 Litres (43-53 Bottles); Single temperature zone, 8 Slide-out wooden shelves; Blue LED interior light; Digital controls with LED temperature display; 3-Layer glass door; Anti-UV brown gl.. 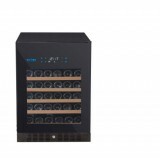 Specifications TECNO WINE CHILLER (66-80 Bottles) (Dual Temperature Zone) 190 Litres (66-80 Bottles); Dual temperature zone, 7 Slide-out wooden shelves; Blue LED interior light; Digital controls with LED temperature display; 3-Layer glass doo.. 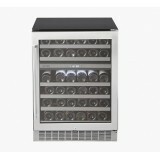 Specifications TECNO WINE CHILLER (75-95 Bottles) (Single Temperature Zone) 190 Litres (75-95 Bottles); Single temperature zone, 8 Slide-out wooden shelves; Blue LED interior light; Digital controls with LED temperature display; 3-Layer glass door..
Tecno TUC 180 Commercial Cooler Showcase 180 litre capacity Turbo fan circulation Light box with switch located internally Adjustable shelves Temperature range from 2ºC to 12ºC Double glass door Side handle with Key & Lock &n..
Tecno TUC 230 Commercial Cooler Showcase 230 litre capacity Turbo fan circulation Light box with switch located internally Adjustable shelves Temperature range from 2ºC to 12ºC Double glass door Side handle with Key & Lock ..
Single/ Multi Temperature Zone for aging or serving purpose ECO Technology Reversible Door Hinge* Easily Adjustable Wo..
Dual Temperature Zone for aging and serving purpose ECO Technology Reversible Door Hinge* Easily Adjustable Wooden Shelves .. 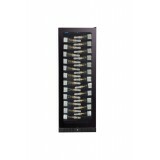 Single Temperature Zone for aging or serving purpose ECO Technology Reversible Door Hinge* Easily Adjustable Wooden Shelves .. 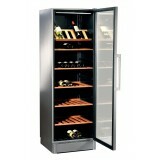 Single Temperature Zone for aging purpose Double Layer Glass Door Reversible Door Hinge* Security Thermostat .. 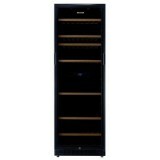 Single Temperature Zone for aging purpose Double Layer Glass Door Reversible Door Hinge* .. 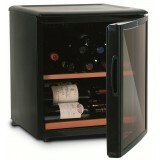 Single Temperature Zone for aging purpose Double Layer Glass Door Reversible Door Hinge* P..